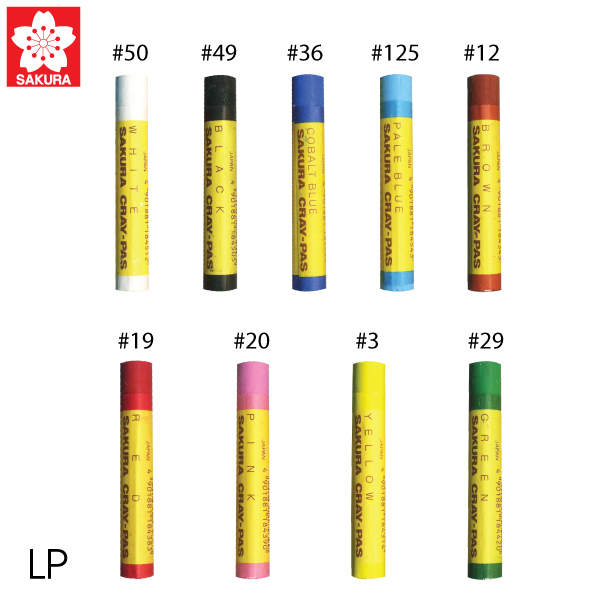 Probably the most widely used medium to teach and parctice art techniques. 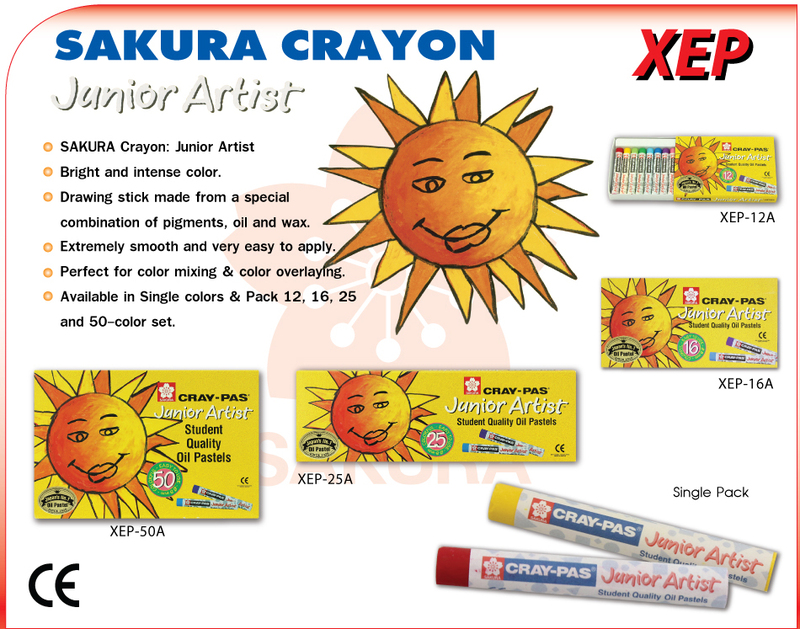 Sakura Cray-pas Junior Artist oil pastels' refined combination of wax, oil, and pigments provide an excellent coloring tool for children. The soft and smooth texture of the color makes it very easy to mix and blend colors and also for coloring various layers. This makes creativity process fun, exciting and safe. Conforms to EC and AP standards.